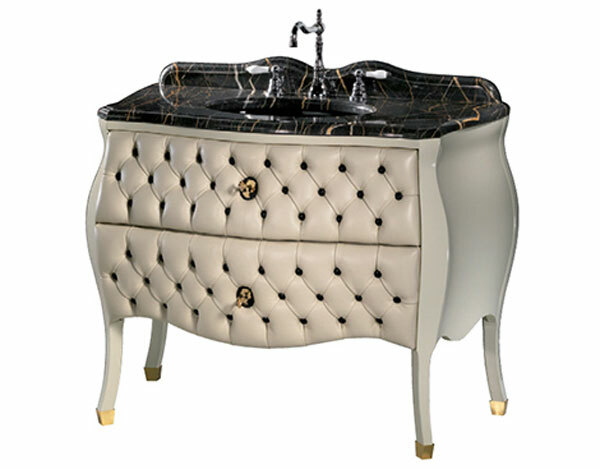 Those who love luxury and royal living have now the possibility to find here the perfect bathroom vanities. The below pictures are part of the Cameo Collection, thought to have been inspired by the Queen Elisabeth’s profile, collection which was created by Ypsilon, an italian company that combines in its work both the elegance and delicacy. 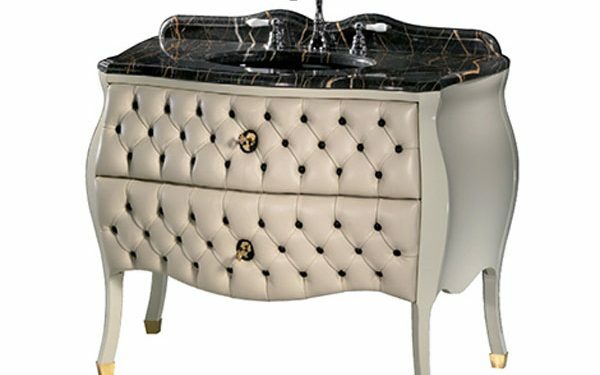 This is perfect not only for those who are looking for traditional bathroom furniture but also for those with more contemporary tastes. What makes it fascinating are the original looking support legs combined with the undreamed – of curves. 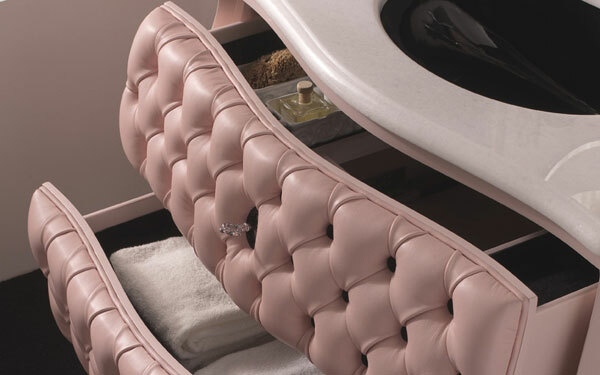 The main feature of these elegant cabinets is represented by the two unique -shaped drawers with authentic leather upholstery, having enough space to storage towels, soaps, perfumes and other personal things. Another thing that captures the viewer’s attention is the gold key which has the role to create the feeling of opulence. 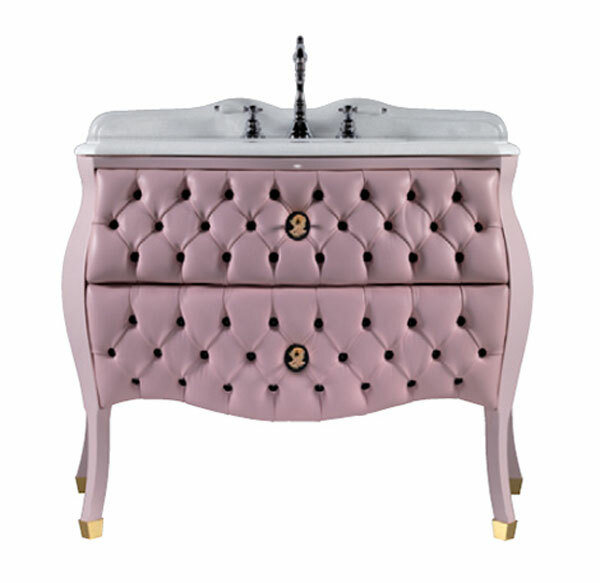 The drawers have in their structure both beige and pink and as for the sink, one can choose between black or white. The customer identifies better his or her desires, by choosing the perfect combination that best fits his or her bathroom interior.If you are interested in ordering this article please contact the producers on the official site.